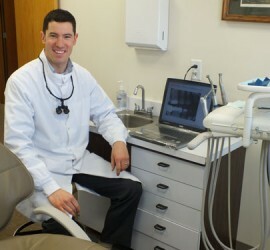 Dr. Steve invites new patients of all ages to see him at Tainter Street Dental Clinic! Contact us for your initial consultation today! The friendly staff at Tainter Street Dental is ready to bring healthy smiles to you and your family! 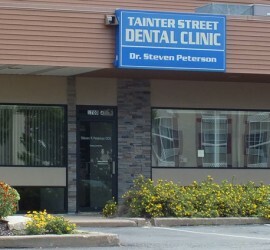 Dr. Steven Peterson and Tainter Street Dental are easy to locate: in North Menomonie two blocks east of North Broadway on the corner of Cedar Avenue and Tainter Street in the Tainter Street Plaza. We offer a full range of dental services including complete family preventive dentistry, cosmetic dentistry, tooth whitening and more! Welcome to Tainter Street Dental Clinic! Welcome to our newly redesigned web site! 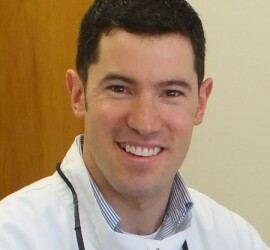 We hope you come back often to learn more about Dr. Steve Peterson and the dental services we offer at Tainter Street Dental Clinic in Menomonie, Wisconsin!